After the north London's club recent loss against Manchester United in the FA Cup, she shared a snapshot of her WhatsApp conversation with a friend in which racist remarks were aimed at winger Alexander Iwobi. 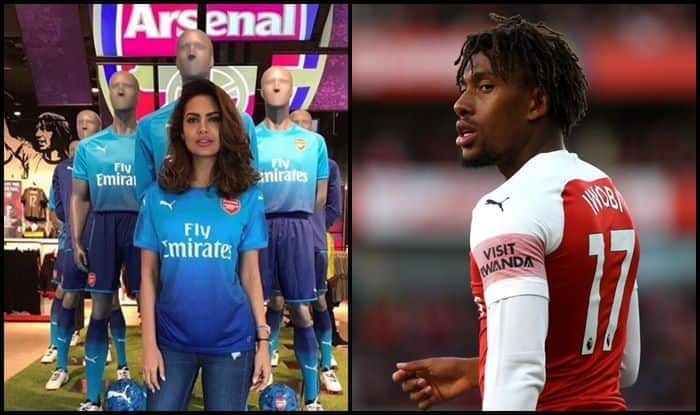 Actress Esha Gupta is an ardent Arsenal fan and after the north London’s club recent loss against Manchester United in the FA Cup, she shared a snapshot of her WhatsApp conversation with a friend in which racist remarks were aimed at winger Alexander Iwobi. In the conversation, she criticised the forward for his performance. Esha’s friend called Iwobi a “gorilla” and said that “evolution stopped for him”. This did not go down well with some fans, who slammed her for her “ignorance” and called her out for being racist despite having claimed she herself has been a victim in the past. She said she did not realise it was directed towards racism. “It was us discussing our frustration during the game. Sorry as I didn’t realise it was directed towards racism. Laughed over the spur of the moment, which was the game’s result guys. Been a victim of racism myself before. But this is not something I am proud of. It was a fault, sorry guys,” she added.